* Are we soul mates? * What kind of job is best of me? * What's preventing me from fulfilling my dreams? * What color do I respond to best? * What lies in my future? * Which herbal remedies should I use? * What factors are affecting my health? Find the answers to these questions-and more. The use of pendulums as divining tools is centuries old. Like other dowsing systems, they are driven by the energy fields around them, yet one need not be an expert in energy work to take advantage their powers. And, by following a few basic instructions at the beginning of this book, anyone can immediately use a pendulum to answer his or her questions, to identify problem areas in physical health, to see where he or she is blocked, and what might come next in life. The 38 charts help readers sort through issues of mind, body, spirit, relationship, and work. They identify herbal teas that may be ameliorative, gems that may bring success, and much, much more.There is a wealth of information in these short pages. 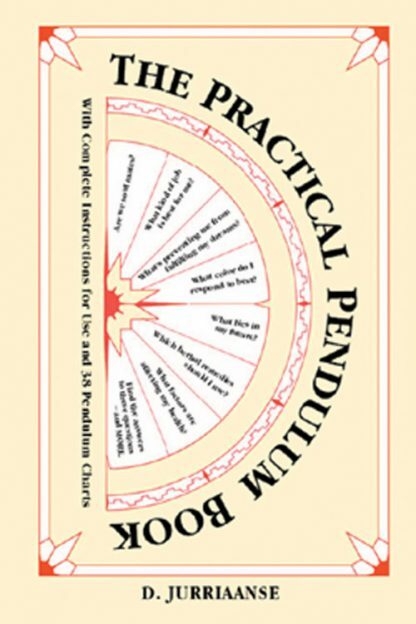 For anyone- beginner or expert- interested in working with pendulums, The Practical Pendulum Book will soon become a don't-leave-home-without-it resource! D. Jurriaanse is a Belgian theosopher and occultist. A well-known healer, he's worked with the pendulum for over sixty years.